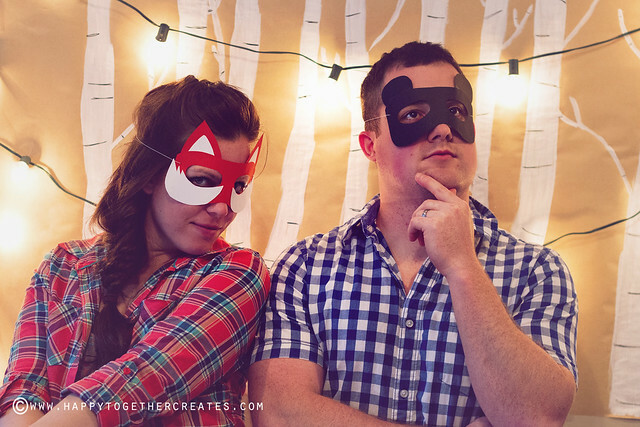 You guys, I seriously had so much fun prepping for this post. 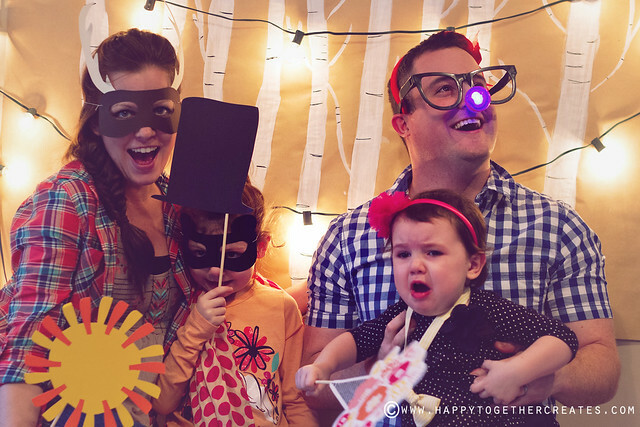 OshKosh challenged us bloggers to create a photobooth idea to share. 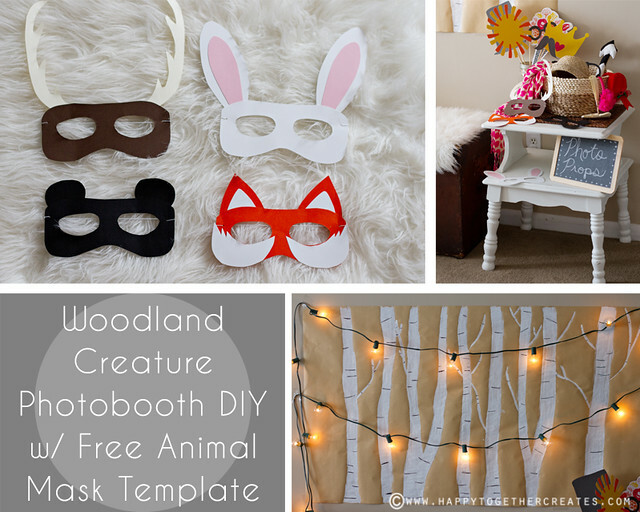 I immediately thought of a winter forest and all the fun creatures in it. 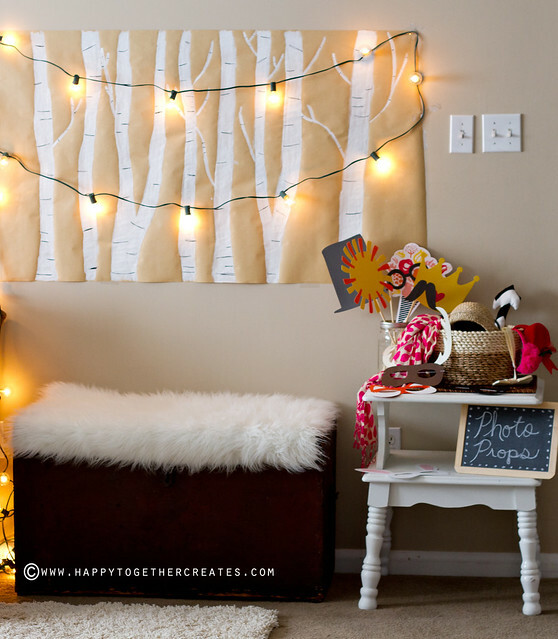 It could easily fit into a holiday party theme or even just a family get together. Most people love taking fun photos! 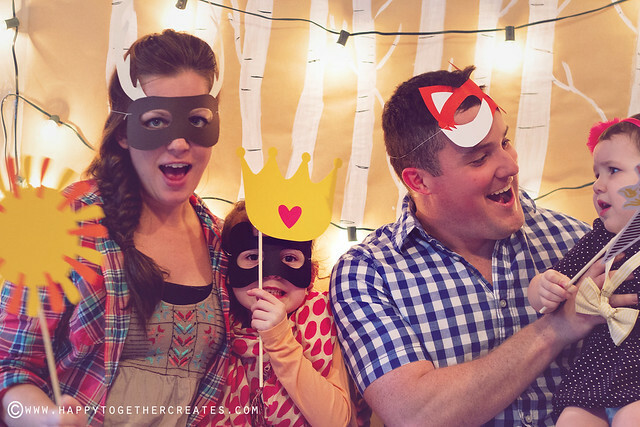 My six year old really got a kick out of picking out her look and seeing her pictures when we did this. Let’s start with what you will need. For the background, I used kraft paper, white paint, paint brush, pencil, tape, and black sharpie. 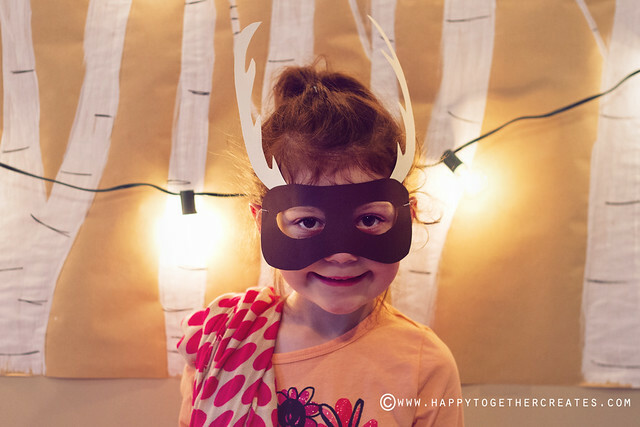 Cut out a piece of kraft paper to the size you want. Tape it down to a hard surface. 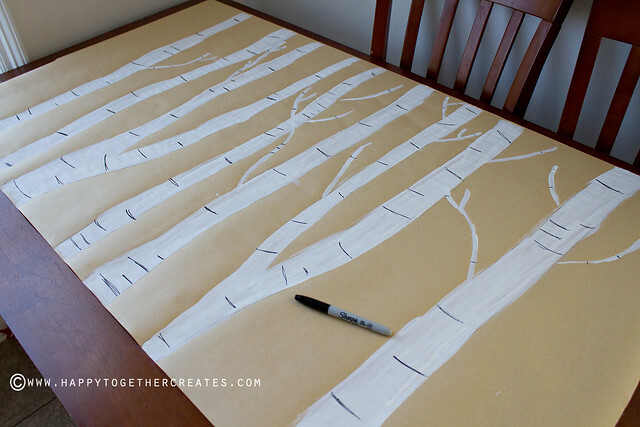 Draw on simple birch tree like shapes with your pencil. 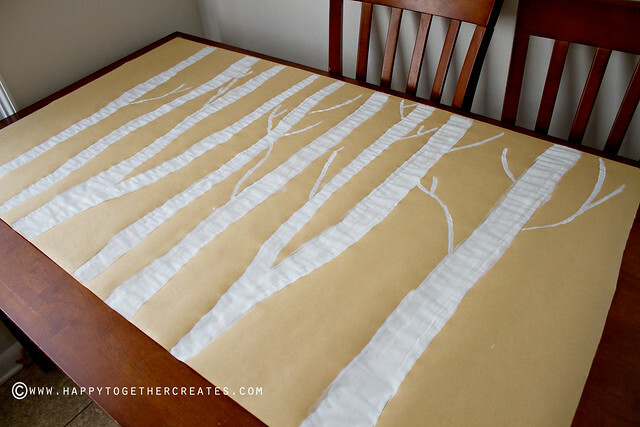 Then paint in the trees with white paint. Once dry, mark black lines on the trees to look like bark. This took me hardly any time at all to create. 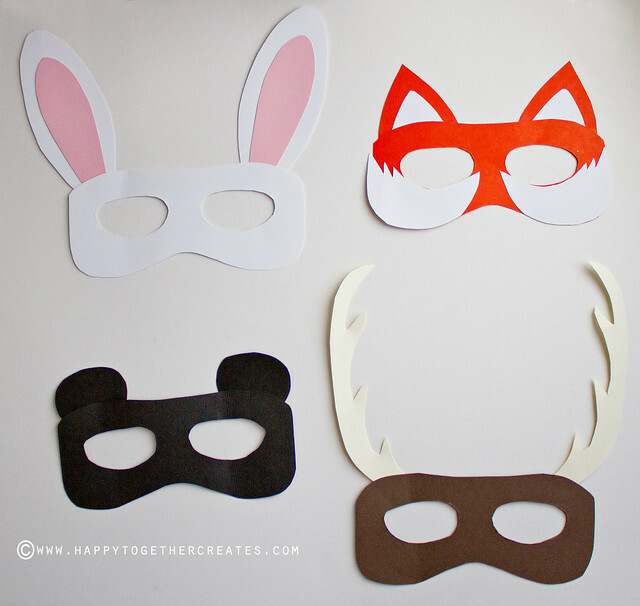 For the masks, you will need the templates, which can be downloaded here. You will need the cardstock (size 8 x 11.5) colors listed below, scissors, a glue stick, and elastic thread (you can find it with the notions in the sewing section). Cut out your templates and trace on back of cardstock paper. 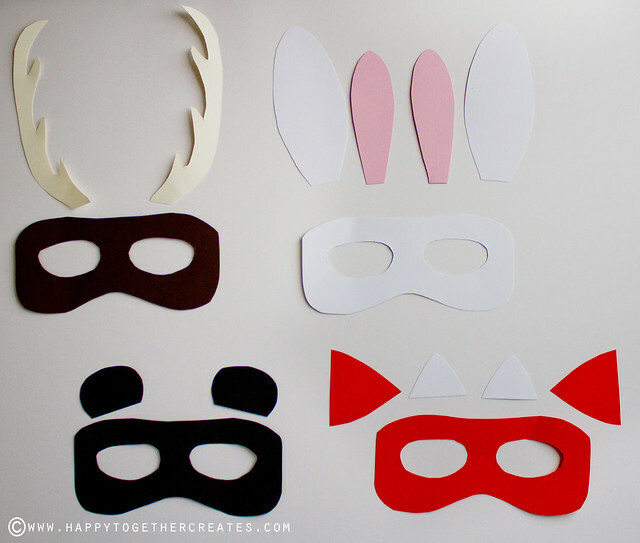 Cut out traced pieces. Glue inner ear pieces on top of outer ear pieces. Then glue ears/antlers underneath of mask. Glue on fox whiskers on top as shown. Using a glue stick is easy and makes for quick drying. 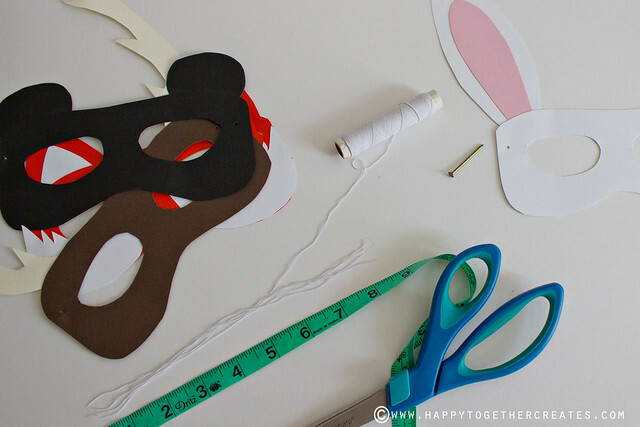 Then cut out a 8.5″ piece of elastic thread for each mask. 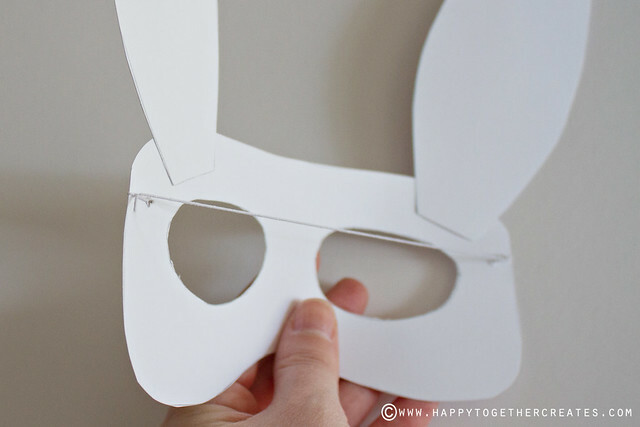 Make a small hole on both sides of masks. I used a nail to do this, but you could use all kinds of things. Tie on elastic and they are ready. 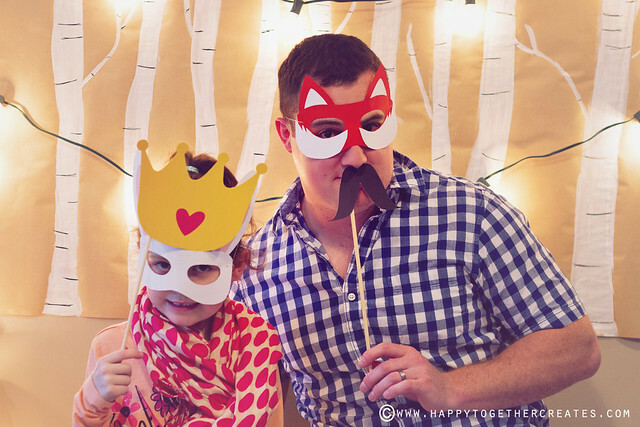 When putting together your photobooth, consider who is coming when picking out props. You want things people will have fun using. 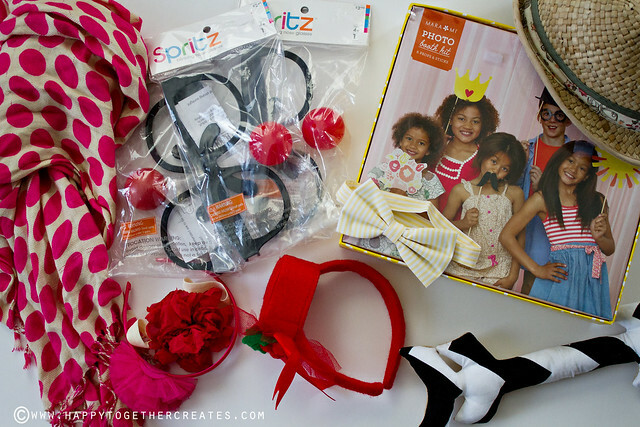 I added some props that were taped on sticks, some hair accessories, bow tie, scarf, and silly glasses to name a few. It’s worth going through your own stuff to see what you can add in. 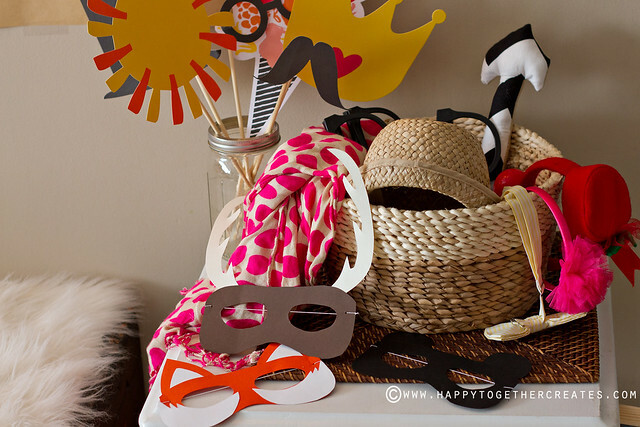 Place props in a basket near where the photobooth will be. Add some lights to look like they are hanging in the trees in the back if you want as well. 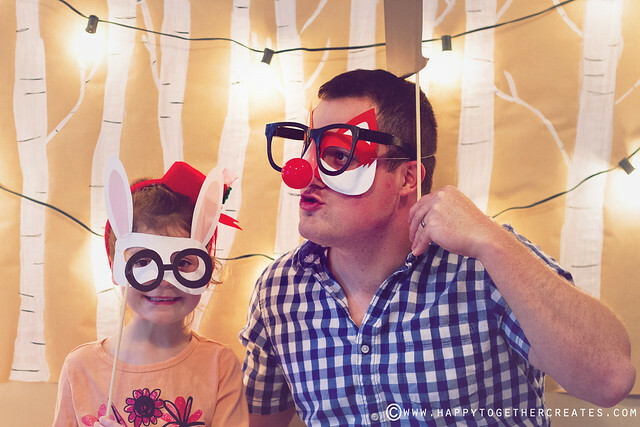 It was funny to watch and participate in the photobooth. Laughter is such a good thing! 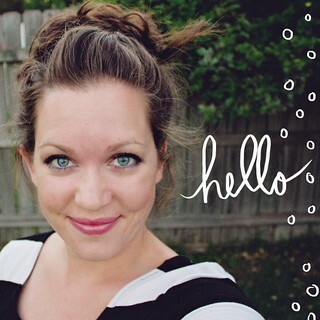 Thank you OshKosh for the challenge this month!!! I also want to congratulate Alisia for winning the $50 gift card. Have fun shopping! Don’t forget to check out all the awesome clothing that OshKosh B’gosh has out right now for the holidays. In fact both the girls are rocking OshKosh clothes in these pics. You can check OshKosh out in stores (find a location near you) or online in their holiday shop to see baby winter clothes and kids winter clothes. “Like” OshKosh B’gosh on Facebook, mention @OshKoshBgosh on Twitter and follow them on Pinterest for outfitting ideas, vintage ads, deals and special events!